Do You Know The Power of Hashtags? 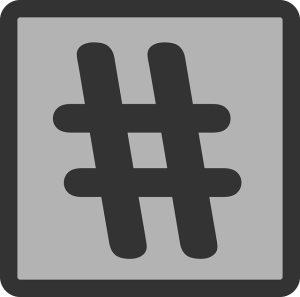 For a long time in history, the hashtag has been nothing special but another symbol on our keyboard. It first became extremely popular after it was introduced in social media through Twitter. The power of hashtags essentially allowed users to categorize their conversations, various thoughts, and allowed other users to easily search up related information through the use of hashtags. As a result, the power of hashtags grew beyond Twitter as other social media sites started incorporating the use of hashtags into their sites and applications as well. Although hashtags are normal for social media users, hoteliers should be catching onto this trend if they have not already. According to Divahound, almost 70% of social media users use hashtags to find content. Even though the use of hashtags is extremely common, there are several factors to keep in mind. Excessive use of hashtags for a single post can actually drive consumers away from looking at the purpose of that post, because people will simply lose interest after seeing so many stuffed into one post. It will also lessen the value of each hashtag used for the post. Hashtags can literally occur anywhere, from the beginning, middle or end. It’s a good rule to always use only around one or two hashtags so that they don’t take over the whole post. For Hoteliers specifically, they should create a special hashtag just for the hotel. The hashtag could be as simple as the name of their hotel, as long as the hashtag has not been used for other purposes. This encourages consumers to post and share their experience on all types of social media. For Instagram specifically, the hotels could always encourage interaction and by re-posting pictures posted by consumers on the official Instagram. This lets the consumer know that the hotel is active on their social media by engaging with their consumers. In addition to that, consumers who are lurking and want to know more about the hotel could simply look through that specific hashtag and see what previous experiences were like for other people. Overall the use of hashtags is simple, and it can prove to be an effective method of raising awareness and engaging with customers.